Los Angeles, CA—Remy Zero announces plans to reunite for four select dates in October to honor the memory of the band’s drummer Gregory Slay, who passed away on New Year’s Day of complications from Cystic Fibrosis. On May 22, 2010 Remy Zero played their first show together in eight years as a tribute to Gregory in New Orleans, the town where he was born. After a moving and cathartic experience and an outpouring from fans, the band decided to reunite for several more one-off shows to further share the spirit of Gregory Slay and his love of performing. To coincide with the upcoming dates, the band has also disclosed that they will be offering at least one new or unreleased song with further details to be announced. Proceeds from the shows and recordings will go to benefit the Honeymoon Trust set up for Gregory’s wife, Tiana Krahn-Slay and their daughter, Honeymoon Slay. The four West Coast shows will mirror the spirit of the New Orleans memorial bringing together fellow musicians and friends to play alongside Remy Zero in each city. Jeffrey Cain notes, “The act of performing was very important to Gregory. It is the way we will always communicate with each other. Anytime we play those songs, he’s in the room.” In order to recapture the feeling of joy and healing that came out of the first memorial and celebrate the life and music of Gregory Slay, the band chose Portland, Seattle, San Francisco and Los Angeles for the expanded memorial dates because of the family, friends and fans Gregory had in those cities. These were also the last cities that Gregory toured when he played drums with O+S in 2009. In addition to the music, the upcoming dates will also feature an edited version of a film by Nina Parikh, shown at the original memorial. Nina, a lifelong friend of Remy Zero, had been documenting the band on film throughout their career. 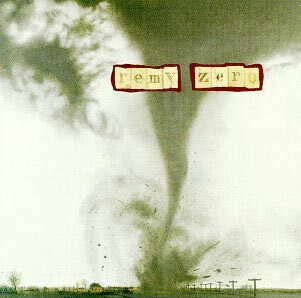 Remy Zero formed in Birmingham, Alabama in 1989 with members Cinjun Tate (vocals/guitar), Shelby Tate (guitar, keyboards and vocals), Cedric LeMoyne (bass guitar), Jeffrey Cain (lead guitar) and Gregory Slay (drums, percussion). 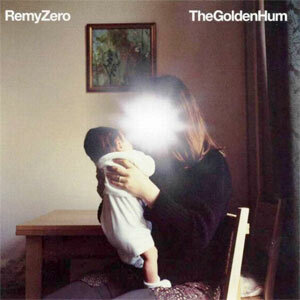 Remy Zero was catapulted into the spotlight when Radiohead, so impressed with an early Remy Zero demo they heard, invited the band to open their stateside tour for The Bends. 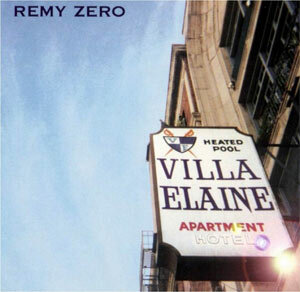 After finishing their dates with Radiohead, the band moved to Los Angeles to record their first full album, the self-titled Remy Zero. They followed with two critically acclaimed releases, Villa Elaine and The Golden Hum. When their song “Save Me” was chosen as the theme song for the long running WB TV show Smallville, the band would become a household name. A slew of Remy Zero songs came to be featured in TV and film, including such taste-making standouts as the Garden State soundtrack. After a decade long success as a band, the members made a mutual decision to part ways so that they could move on in their own personal musical directions. Since that time they have all continued to create music in various incarnations. Cinjun Tate and Shelby Tate joined together to release an album as the band Spartan Fidelity. Shelby Tate is currently living in Cambodia where he is in the midst of building the music studio Onsa. Cinjun is currently in the band A.C.T. and working on a new project called the New York Cosmos. He is also in the midst of recording a solo album, with a release date to be announced. Cedric LeMoyne created O+S with Orenda Fink from Azure Ray, records and tours with Alanis Morissette and Gnarls Barkley, and is currently working on an album with Barrett Martin of the Screaming Trees. Jeffrey Cain has been busy recording with artists such as Tricky, Afrobots, O+S, and Isidore (a band he formed with Steve Kilbey of The Church). Jeffrey also has a new Dead Snares full-length CD coming out this fall on popantipop that features both Gregory and Cedric playing on the album. In addition, Jeffrey, Gregory and Cedric received an Emmy nomination for the FX TV series “Nip/Tuck” theme song, which they composed under the name The Engine Room. Gregory Slay’s musical legacy, in addition to Remy Zero, are his projects Sleepwell and Horsethief Beats with Jeffrey Cain, along with his contributions to various other projects including O+S and Dead Snares. Just prior to his passing, Gregory finished recording a solo album, The Sound Will Find You, that will officially be released in tandem with the memorial tour dates, although it is already available for streaming on bandcamp.com. Proceeds from his album will go to benefit his family through The Honeymoon Trust (thehoneymoontrust.com). For additional information about Remy Zero and Gregory Slay, please visit www.remyzero.com. Tickets are available atwww.songkick.com/artists/278348-remy-zero. please do more shows, come to eugene and we will host your show or work with our partners to do so…Ninkais Brewing! I was so surprised to find out about the loss of Gregory earlier this year. It’s really great to know that you guys are not just getting together to perform for all of your fans again but that you were inspired to do so by Greg’s legacy. Look forward to seeing you in SF and LA. Hope to hear many of the wonderful and classic songs which have made you one of my favorite bands. I just watched your show at The Crocodile in Seattle (Belltown). It was just out of this element. I hope you find the emotion that comes when you all are together making music and it propels you to stay together and keep doing what you were born to do. Never change and keep believing! very sorry about the loss of gregory…..its so good to hear you have reunited….you guys are truly special talents…hope we get a full album and sure hope we get some southeast dates…pls dont forget charlotte…but i will travel as far as i have to, good luck.. This is a blast from the past, Danny’s sisters Leigh & Amy. So glad to see your band is still together. Amy and I are living in Chicago and have been for the last 8 plus years. Do you ever play in Chicago? If so, we would love to see you. It has been forever. Anyway, hope you are doing well. If you get a chance, drop us a line at aubbie98@gmail.com. aren’t many people who realize it better than his band mates. for all fans (and more). This band is precious,even more because of the fact that it’s quite unique and there is no replacement for Remy Zero and their music for ears nor hearts. Thank you so much for all you have given, hope it keeps coming!